We can create a beautiful smile and correct problems with our minimally invasive restorative procedures! If you have damaged, decayed, or missing teeth, we can perform a series of restorative and tooth replacement procedures to give you your strong, functional teeth back. 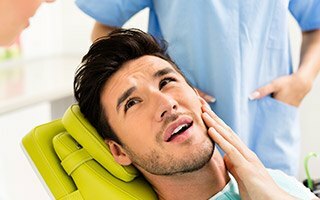 Can Dental Crowns and Bridges Repair my Damaged Teeth? When it comes to repairing teeth, nothing does it better than a dental crown. A crown is simply a tooth-shaped restoration that fits over the top of a damaged tooth, and it can be used to repair a tooth that is chipped, cracked, broken, or decayed. Dental crowns are quite versatile, and they can do everything from restoring a tooth’s lost structure to improve its appearance. It all depends on your needs, and at Harbor East Dental, we’ll make sure your restoration is strong, durable, and lifelike alongside the rest of your smile. In fact, dental crowns can also be used to help replace a single missing tooth or even a few in a row. After placing dental crowns on either side of the missing one(s), Dr. Burdusi and Dr. Betts can bond them to prosthetic teeth that fill the gap, creating something called a dental bridge. In either case, both dental crowns and bridges typically take only two easy visits to complete. Do All Dental Crown Have Metal in Them? Damaged or severely decayed teeth can be saved with tooth-colored, composite fillings. Composites are metal-free solutions for restoring and strengthening the tooth. Dr. Burdusi or Dr. Betts may recommend tooth-colored fillings to restore a damaged tooth. You don’t have to live with tooth pain and discomfort because of an infected tooth any longer. Dr. Burdusi or Dr. Betts may recommend root canal therapy to treat infected pulp in the teeth and restore the tooth. 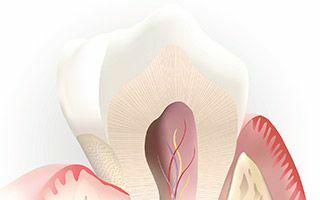 Getting a root canal in Baltimore, MD is a relatively simple process and can preserve your natural teeth while improving your overall oral health. Will My Tooth Need to Be Extracted? Severely damaged or decayed teeth may need to be removed completely. We can perform a surgical or simple tooth extraction to improve your oral health. 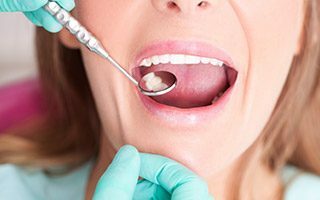 If you have suffered the effects of severe gum disease, have fractured teeth, or are preparing for a cosmetic procedure, you may be a good candidate for a tooth extraction. If the wisdom tooth is impacted or erupted and causing pain or has tooth decay, it must be removed immediately with a simple tooth extraction procedure. Our oral surgeon on staff can perform a wisdom tooth removal procedure right in our office. Many wisdom teeth are mal-aligned and damage the bite and need to be removed. If you’re walking around with dental pain or a tooth that prevents your smile from looking its best, you no longer have to. Our restorative services can give your smile back everything it has lost and more, and we’ll make sure your restorations are built to look great for years to come. If you have any questions or if you would like to schedule an appointment, please contact us today.